Annmarie Dadoly was an editor of Harvard Health Publishing' Special Health Reports from 2000 to 2012. Before working at HHP, she was the editor of several employee and subscriber publications at Harvard Pilgrim Health Care and the news editor of a weekly newspaper in Massachusetts. She has received six journalism awards. Annmarie earned her B.A. in English from the College of the Holy Cross. Everyone has moments of forgetfulness—misplaced keys, a forgotten errand, the name of that movie you want to recommend but can’t get off the tip of your tongue. 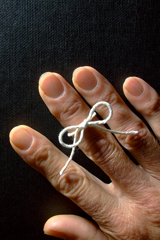 A certain amount of forgetfulness seems to be a normal byproduct of aging. But how do you know is forgetfulness signals something more serious, like Alzheimer’s disease or another form of dementia? According to “A Guide to Alzheimer’s Disease,” an updated Special Health Report from Harvard Medical School, by exploring several questions you may be able to get a clearer sense of normal versus worrisome forgetfulness: Is my loved one worried about the memory loss? Is he or she getting lost in familiar territory? Are word-finding problems common? Is your loved one losing the ability to socialize, or interest in it? As summer winds to a close, many school age children are reluctant to greet another school year. Who can blame them? Swapping swimming, lazy days, camp activities, and late nights for classrooms, homework, and early morning bus rides isn’t much of a trade at all. For some children, reluctance turns into school refusal. This goes beyond an occasional “I hate school” or “I don’t want to go to school today.” Children with school refusal may sob, scream, or plead for hours before school in an attempt to stay home. They may often complain of illness and run home from school if forced to go. Absences can last weeks or even months. 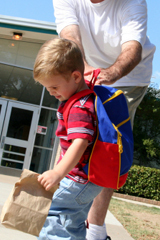 The problem may start at any point but common triggers are the start of a new school year, making the transition to a new school (middle school to high school, for example), or returning from school vacation. School refusal often stems from an anxiety disorder, according to Coping with Anxiety and Phobias, a new Special Health Report from Harvard Medical School. Helping a child through school refusal often takes concerted effort from the parents, school staff, a therapist, and the child. Feeling stressed? Call a timeout, counsels “Stress Management,” a new Special Health Report from Harvard Health Publishing. One way to stop stress and worry from taking over your days involves setting aside 15 minutes or so to focus on your problems. When the time is up, try to leave your worries aside and focus on something more productive. 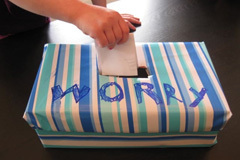 Writing down your worries and dropping them in a “worry box” can also help, explains Harvard Health editor Annmarie Dadoly. 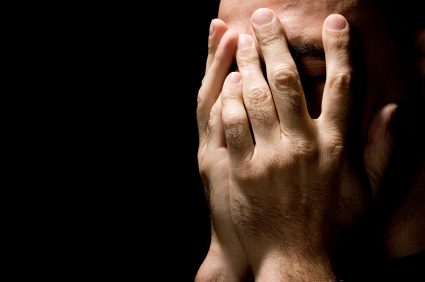 Many suicides are impulsive, with just minutes or an hour elapsing between the time a person decides upon suicide and when he or she commits the act. Yet the stressful events that lead to suicidal thoughts are often temporary, such as losing a job or having a romantic relationship end.